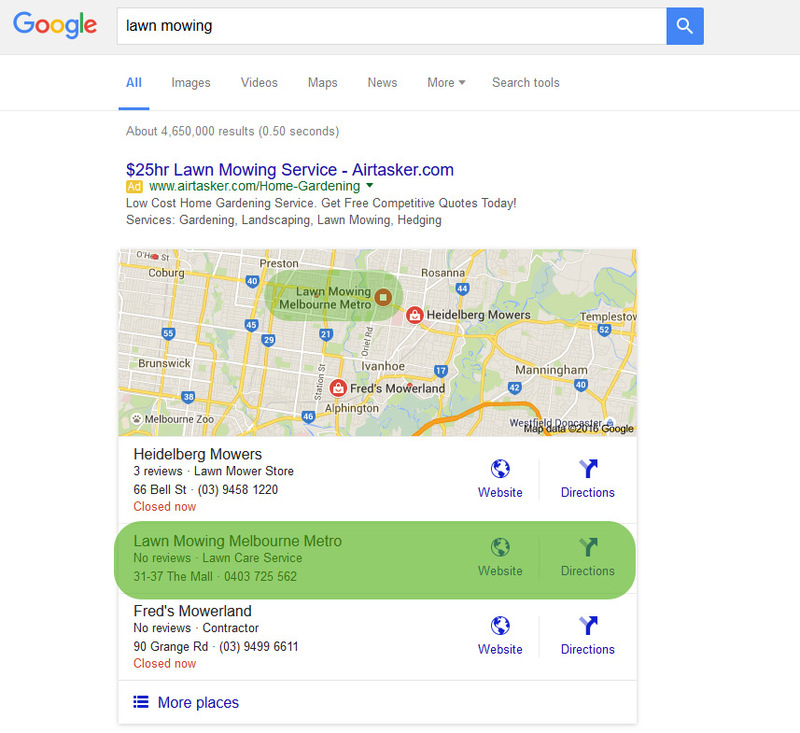 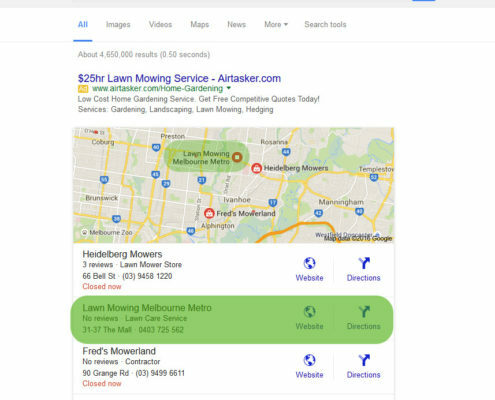 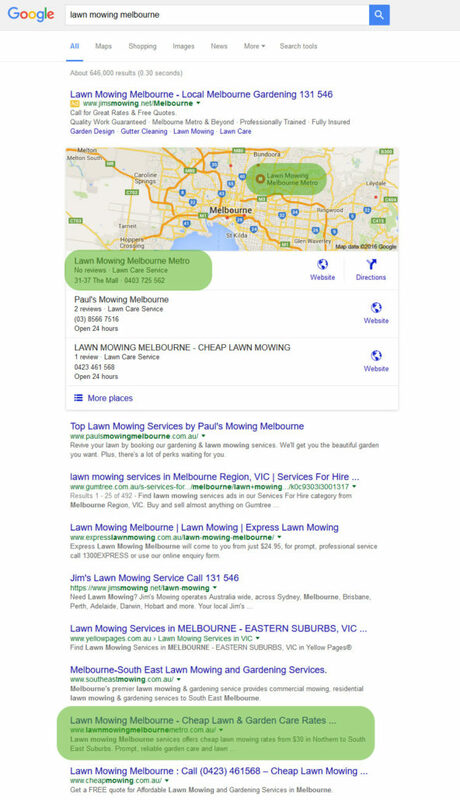 We have helped Lawn Mowing Melbourne Metro to dominate search engine on Google Maps for customers who are living near their business. 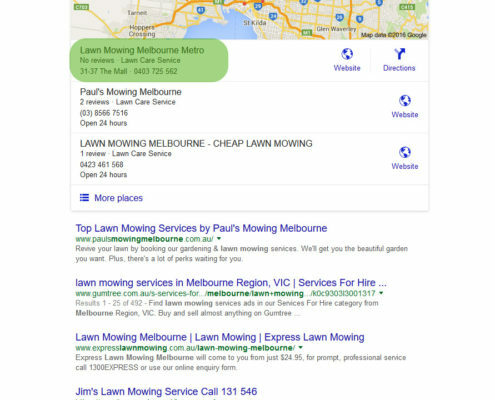 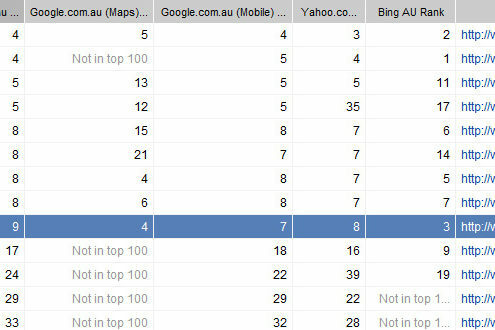 Our SEO campaign have paid off gaining on the first page of Google for keywords “lawn mowing melbourne”. 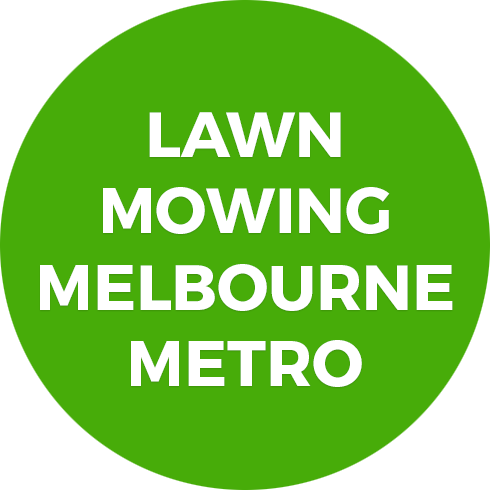 Click the below image for a larger view.